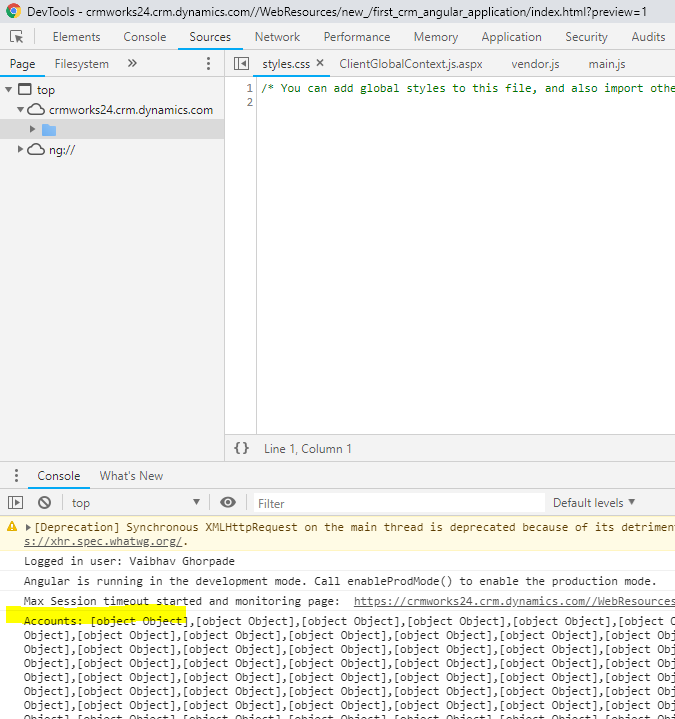 The first thing that we would need to do is, add the reference of ClientGlobalContext.js.aspx. in index.html. Refer a screenshot below. 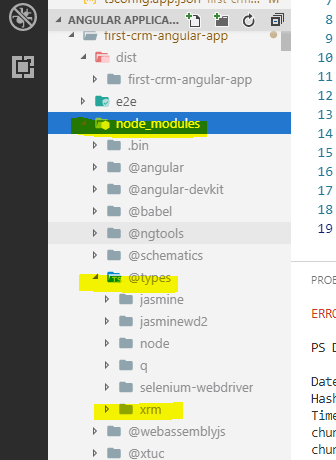 You will then see the xrm type get added in your node_modules -> @types folder. Now build the application and update the main.js file in Dynamics 365. This should work now and lets give you the name of logged in user. So this way you can use Xrm object in Angular application. If you are on Dynamics 365 version 9.x and above then you can directly use Xrm.WebApi to perform CRUD operations on CRM data. 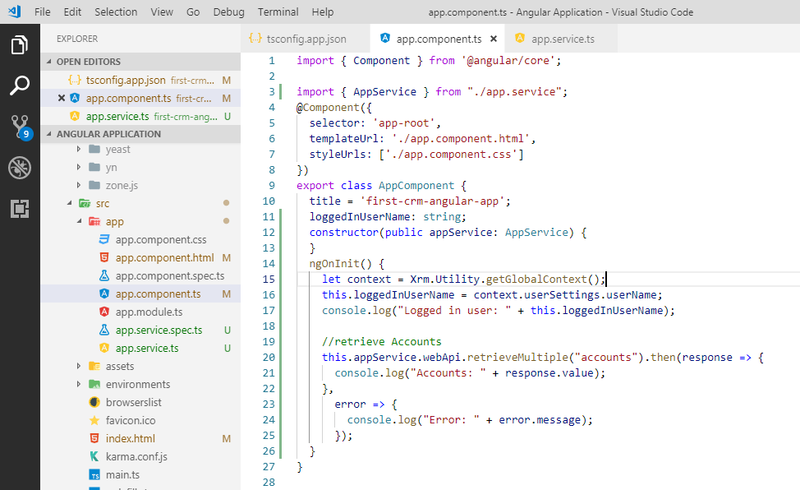 But if you are on 8.x and below then you would need to add reference of Web API in your Angular Application. Run “npm install –save-dev xrm-webapi” command in terminal. This will add xrm-webapi in your current project’s node_modules. 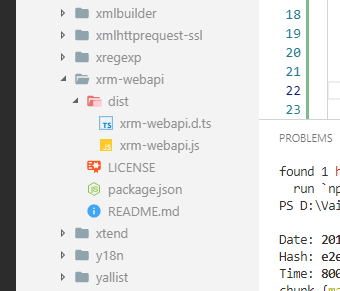 Refresh the project folder if xrm-webapi folder not showing in the node-modules folder. To use this import xrm-webapi in your component or in service of angular application. 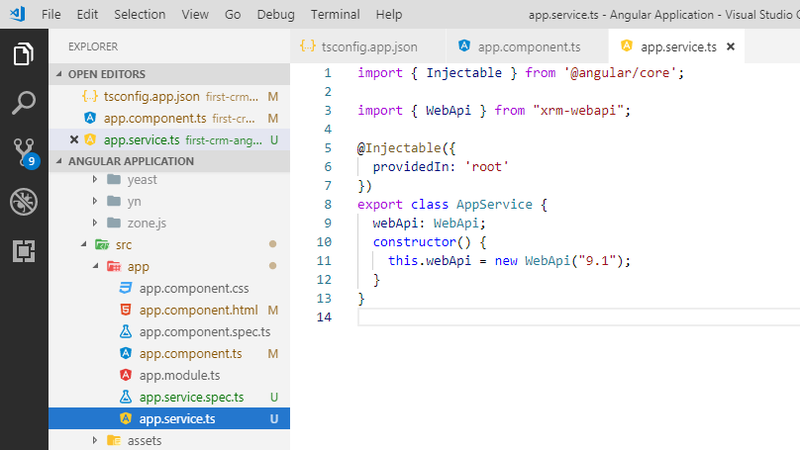 We recommend to initialize or add the reference of web api in service as it may be reused in several parts of Angular Application. 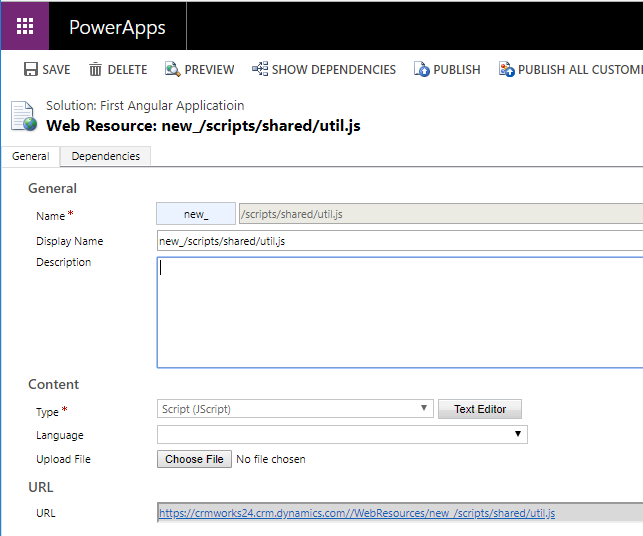 Below is how I have imported the xrm-webapi in app.service.ts. Below is how we have used the functions of xrm-webapi in app.component.ts. 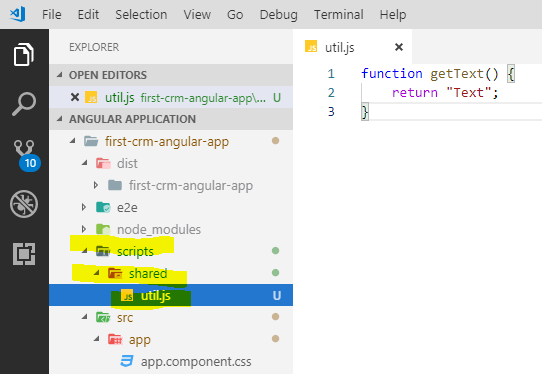 Build application and upload main.js and vendor.js file in Dynamics 365. Refresh the page and check the console. The Web API should work. Hi, thank you for this interesting Post, I was looking for something like this since very long time. 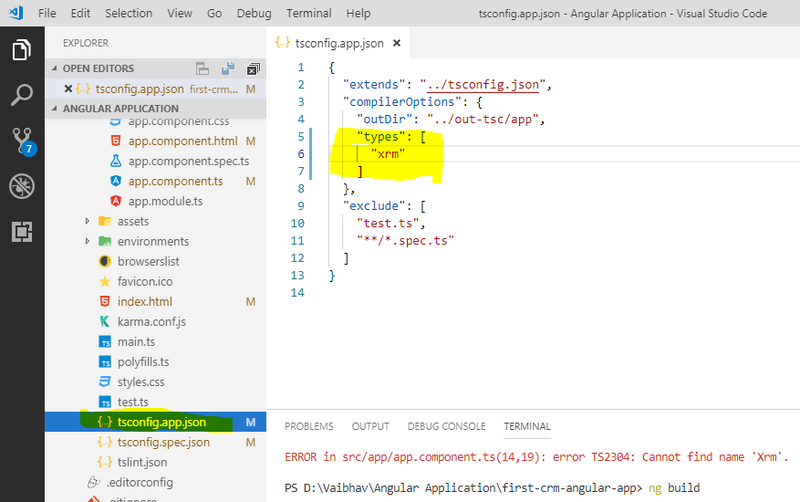 I am very new to Angular and while trying to follow along with the example code, I experienced an error while creating the app.service.ts class. 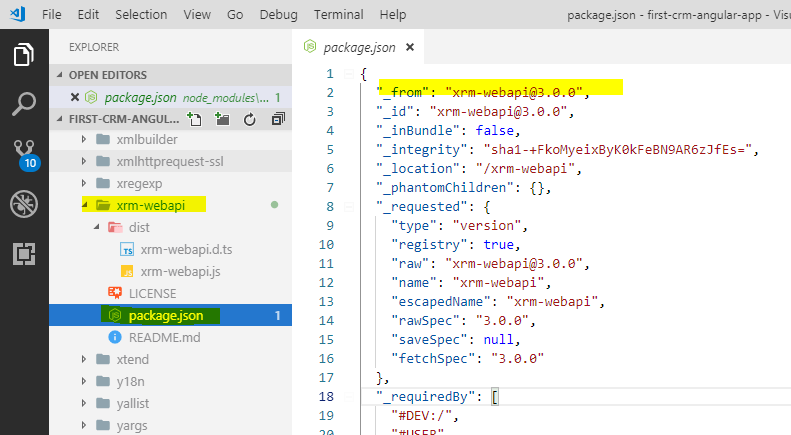 It says that xrm-webapi has no exported member “WebApi”. Maybe your xrm-webapi is different than the one I used. The version of my xrm-webapi is 3.0.0.0. Did you found solution I am also facing same issue. Yes, the library has change a bit. There is no more a WebApi exposed but a WebApiConfig instead.